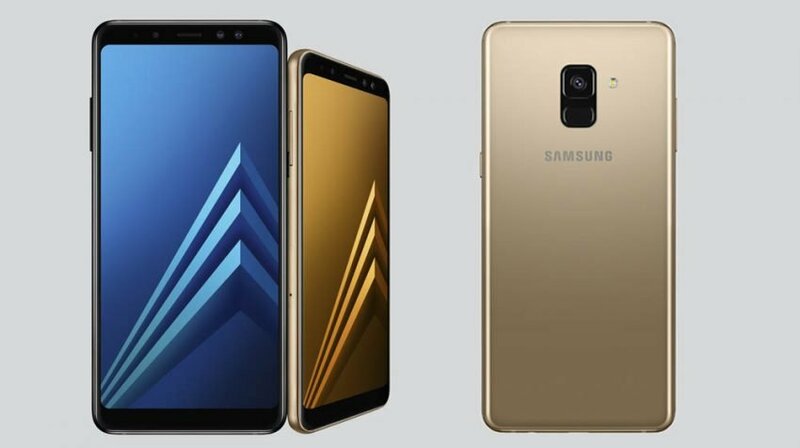 The announcement of Samsung’s Galaxy A8 and Galaxy A8+ should be a relief for small businesses suffering sticker shock over the price of other popular flagship phones. Samsung (KRX: 005930) and Apple both have phones costing $1,000, but for small businesses and freelancers not looking to finance a phone, the new A8 and A8+ have come just in time. These phones have specs which might lead one to believe they are flagship phones. Everything from the screen size to the memory, storage and battery size makes them a viable alternative to their $1,000 counterparts. And for individuals and businesses looking for a price friendly, but fully capable device, Samsung might have just struck the right balance. The Infinity Display and the first Dual Front Camera with Live Focus are just some of the features Samsung has brought over from its flagship phones. It is important to remember, freelancers, remote workers and many other small business owners greatly rely on their smartphone. 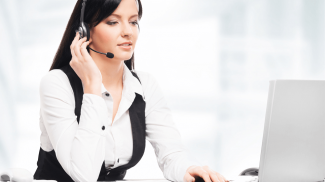 They communicate, collaborate, carry financial transactions and more on these devices. 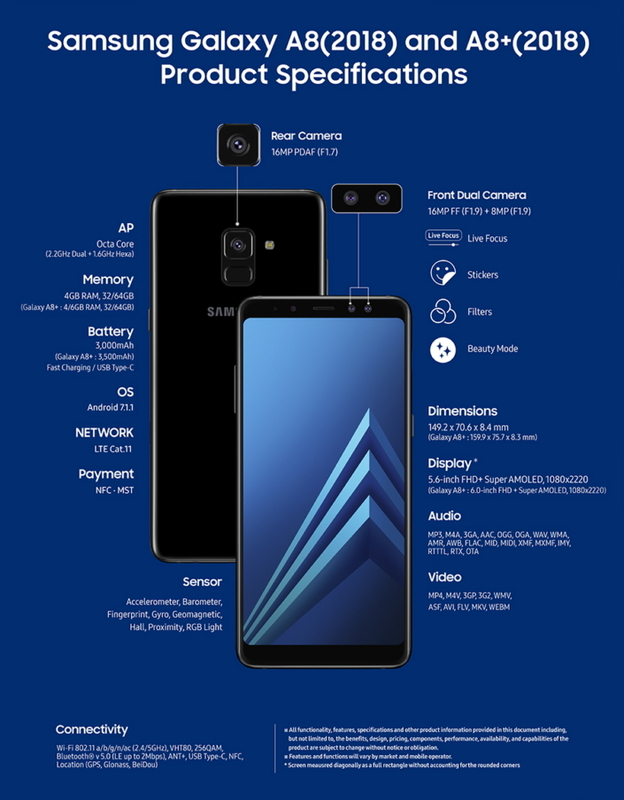 The Galaxy A8 and A8+ have many specs that are similar to the flagship Galaxy S8. It starts with an Octa-core processor, with two cores at 2.2GHz and six at 1.6GHz. The only difference is the Galaxy S8 uses Qualcomm and the A8s uses Samsung’s Exynos. The memory comes in at 4GB or 6GB depending which model you get, and the storage is also model dependent at 32GB and 64GB (expandable to 256GB). The displays are 5.6″ or 6″, 1080 x 2220 FHD+ Super AMOLED for both models. The resolution is not as high as the S8, but both feature full HD. And when it comes to the camera, they are very compatible. There is a front dual camera with 16MP FF (F1.9) + 8MP (F1.9), and a rear 16MP PDAF (F1.7) camera. The battery for the A8 is 3,000mAh and for the A8+ 3,500mAh, which includes fast charging USB Type-C. The one downside is both cameras are running on Android 7.1.1 when Android Oreo 8.0 is the go-to OS for high-end, flagship phones. Additional features include a fingerprint scanner, NFC support for Samsung and Android Pay, support for Gear VR, Bluetooth v 5.0, and IP68 rating for dust and water resistance. Samsung said the Galaxy A8 and A8+ will be available in early January 2018, but the company hasn’t announced the price for the phones. If you want to gauge what it might be, the 2017 Galaxy A7 is currently selling around $400. I love how Samsung also offers low priced options. However, I trust their high end products more.